…travelling to places far and wide this summer? …hanging out with friends and family in Hong Kong? …resting and relaxing after a crazy school year? 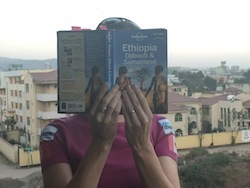 After the fun and success of our first #thereadinglife photo contest over Easter break, we thought we’d try it again. 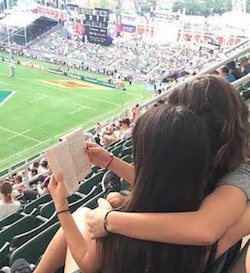 It’s simple: read a book and take a photo of you reading that book (eBooks, too!). Or take a photo of you and your dog reading a book. Or you reading to your little cousin…in Canada/New Zealand/Croatia/Sham Shui Po/Zanzibar…in front of the Louvre/the Rockies/Rockefeller Center/Alhambra/IFC…the possibilities are endless! What: take a (creative) photo of you reading this summer. Multiple entries are okay, but different books and locations are a must! Who: open to all Upper School students – yes, this includes the current grade 6s who will join us as grade 7s in August! Where: it doesn’t matter where you are, just have fun and be creative! When: You’ve got 8 weeks of relaxing reading time! You can send Ms. Holm your photo(s) any time this summer OR soon after we get back to school in August. Why: why not?! (plus, reading is cool!) Oh, and there are cool prizes too!